Whenever a project is assigned in an office, the team has to decide the most efficient way to complete the task on time. There could be a delegating session where different members of the team are each given assignments that play to their skill sets strengths. They will also be a team manager who needs to be on top of the progress of the project. Finally, the project can be presented and then it is on to the next one! Finding the best way to accomplish the task is really what business is all about. Not every project in an office depends on generating revenue. Some projects need to be completed just to create a better working environment. That is certainly the case with office furniture removal. To get that task done you only have to turn it over to Junk King Jacksonville. The standard junk removal team offered by Junk King consist of two movers. This is a crew who has a lot of experience getting bulky objects out of all kinds of environments. With an office, there might be a need to navigate in and out of a freight elevator. That will be a problem for the Junk King squad. These crews are also self-reliant. You only have to give them one set of instructions to tell them what you want to get rid of and the best way to remove it from the office. They’ll handle everything from that point forward. That also includes dismantling anything that requires it before it can be hauled out of the door. Don’t worry, the Junk King crew will always come with their own tools! This is also team that moves fast. They don’t want to cause any distraction to your work environment. If you would prefer, then the Junk King squad can come out on the weekend. The only drawback with that is someone from the office would need to be there to let them in and out. But again, they can work very fast! The best way to get rid of your old office furniture is to hire Junk King Jacksonville. One call gets it done. This entry was posted in Jacksonville junk removal and tagged Junk King, junk removal, office furniture on March 31, 2019 by Junk King. Last updated March 31, 2019 . The best approach for being the executor of any size estate is to handle it as quickly and efficiently as possible. The lawyer who has set up the estate will be the best source for how to handle the disposition of the property and all the possessions. It’s important to first get an appraisal of what everything is worth. They may be a lot of items in the home that you can “skip over” when it comes to appraising simply because they wouldn’t have any substantive resale value. When all the valuable things have been removed and sold off what is left will become part of the final project: the estate cleanup. This may seem like a daunting task if you were to do it by yourself. Thankfully, a company like Junk King Jacksonville standing by to assist with this project. Your estate cleanup session with Junk King will be staffed by at least two movers. This is the standard work crew that goes out on every Junk King appointment. The team will be rolling up in a truck big enough to hold a massive amount of furnishings and household goods. It might be decided that extra crews and trucks will be needed for the estate cleanup. On one recent job like this, Junk King utilized three teams and three trucks to get the house clear in a single day. The big help provided by Junk King means you don’t have to do any of the lifting. You don’t have to bring items into one room to make it easy for Junk King. Although they would be grateful for the effort, it is necessary. The Junk King crew is happy to go through every room in the house to remove whatever it is that needs to be hauled away. Everything is collected by Junk King will have an opportunity to be disposed of the very “green” kind of way. They could be a lot of things in your estate cleanup that might be able to repurposed by a charity who specializes in filling up homes of those families in need of a little assistance. Other items might just be rubbish that are worthy of recycling at a certified facility. Junk King is happy to make those drop-offs on your behalf without any extra charge. 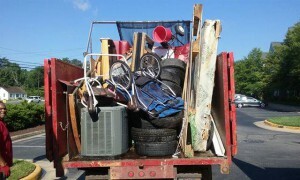 An estate cleanup doesn’t have to be hard when you turn the job over the Junk King Jacksonville. Book your session today and get it taken care of fast. This entry was posted in Jacksonville junk removal and tagged estate cleanup, Junk King, junk removal, rubbish on March 25, 2019 by Junk King. Last updated March 25, 2019 . When planning your next move you should try to think of things from the movers prospective. Most moving companies charge by the hour. There might also be an hour of transportation time. Every box and piece of furniture that you asked them to move is going to fill up that hour with both the loading and unloading of the truck. Should they be using that time filling up the truck with items that you’re probably going to throw out once you start unpacking? What about the bigger pieces of furniture that you know you’re going to replace? Want to be taken up a lot of room in the truck? All of the junk that you will discover when packing up your house doesn’t need to come with you to your new place. Instead, turn it over to Junk King Jacksonville. The crews working for Junk King operate much like professional movers. They know how to maneuver heavy objects up and down stairs. They can also take things apart if that is needed to get it out the door. But unlike professional movers, the Junk King team isn’t charging by the hour. Instead they charge by how the truck will get filled up with your stuff. All that junk might take up half the truck, one third of the truck or the whole truck. You’ll know what that price is before the job begins and wants agreed-upon it will be locked out. There won’t be any surprise extra charges at the end of the job. That is definitely something you want to watch out for with your professional movers. Of course, instead of bringing your unwanted items to your new place to Junk King crews going to find a way to dispose of them in a responsible manner. Often this will mean dropping it off to a charity. Yes, it is extra work for the junk King but that is work they are happy to do. Before your next move, be sure to give the junk to Junk King Jacksonville. Don’t bring old junk into a new house! This entry was posted in Jacksonville junk removal and tagged Junk King, junk removal, move, rubbish on February 28, 2019 by Junk King. Last updated March 2, 2019 . We are just a few weeks away from the official start of spring. Ironically, the first big event of spring is to actually take a “break” from spring. All across the country, schools take off for a few weeks to give students a chance to catch up before the final push of exams leading to graduation. When you are in college, spring break is a kind of rite of passage. It will usually involve more fun on the beach then time in the library. Jacksonville is a popular destination for students on spring break. You might even be opening up your home for some family or friends that are traveling on spring break. If that is the case, then you definitely want to get things cleaned up. That is where Junk King Jacksonville can be a big help. Take a look around your home and yards. What are the big things that you would like to replace? Has your patio furniture seen better days? Is there a playground set that your kids are going to play on again? Is your guestroom overrun with boxes of clutter? All of that can be taken care of with a single junk removal session from Junk King. They are going to provide you all you need to get rid of the unwanted rubbish. A two-man crew will do the lifting and loading. And a big truck will hold all the things you want to get rid of. It doesn’t matter if it is a chaise lounge or an entire room of furnishings. All that matters to Junk King is that you will be satisfied at the end of the job. There are some folks who like to break up the sessions with junk King. They may hire Junk King one week just clear out all the garage stuff and another week to take care of the rest of the house. Whatever works best for your schedule is what works for Junk King. Just know that they can clear out an entire home in a single appointment if that is what is needed. Get your house ready for spring break with a little junk clearing help from Junk King Jacksonville today. This entry was posted in Jacksonville junk removal and tagged Junk King, junk removal, spring break on February 24, 2019 by Junk King. Last updated February 24, 2019 . We have been told our entire lives not to “cry over spilled milk.” The idea behind that phrase is that accidents going to happen and there’s nothing you can do about it except cleanup. However, there might have been a few tears shed recently in Baldwin when tractor-trailer truck carrying milk collided with another truck spilling the milk all over the highway. All that milk and not a cookie insight! This led to a major cleanup operation that lasted for over six hours snarling traffic. Clearly, this is a mess no one was planning for that day. That can probably be said for many types of messes. On the other hand, there are those messes that you know are going to happen like when you are taking on a remodeling or giving your lawn a makeover. When those big messes are created you might want to bring in some outside help to clean up. That sounds like a perfect job for Junk King Jacksonville. How can Junk King help with your next cleanup? Consider the fact that they will be dispatching a pair of movers to your home or business. This will be the team that is dedicated to the task that can clear up all kinds of construction waste and yard debris. This team will be showing up in a big truck that can hold plenty. Just how much? The standard Junk King truck is the equivalent of six full pickup trucks. Do you think you could fill up Junk King truck? You don’t have to wait for a cleanup mess to hire Junk King. It might be time to clear out some old furniture and other rubbish items from your home. This is something that Junk King excels at. That crew who will be assigned to your haul will be showing up with a very positive attitude there also going to treat your property with respect. That man is a lot especially if it carried heavy objects down lights stairs. Junk King is a great record when it comes to customer satisfaction and they would be happy if you were to become the latest addition to that long list of happy customers. No matter what type of cleanup help or junk hauling that you need around the house, Junk King Jacksonville is standing by to help get it done. This entry was posted in Jacksonville junk removal and tagged cleanup help, junk, Junk King, rubbish on January 31, 2019 by Junk King. Last updated January 31, 2019 . One of the first things we all run out of after moving into a new home or apartment is storage space. Even though you might have gotten rid of a lot of unwanted items before making the move, those storage spaces seem to fill up fast. Over the years, as more stuff comes into the house more things get pushed into storage. The breaking point usually comes when there simply isn’t room for anything else. That is the time to schedule a session with Junk King Jacksonville. You are going to like how much more storage space you can find with a little help from these professional junk haulers. When deciding what to get rid of to make more storage space you can start by going big to small. The big items are the obvious ones. These should be the pieces of furniture that have one out or you want to replace. You can’t put a sofa or futon out on the curb. But there will be plenty of room for it on the back of the Junk King truck. There will also be room for other big items like refrigerators, stoves, washers, dryers, baby furniture and anything else that is taking up a lot of valuable storage space. After designating which big items you want removed, you’ll want to spend some time deciding on all the little things. This is when you should go through every cabinet in the kitchen, drawer in your dressers and closets in the bedrooms. Spending the time to sort through those areas are sure to have you creating piles of things you have no intention of using again. There’s no reason to hang onto stuff like that. It can all be turned over to Junk King and removed in a single session. You can schedule your Junk King appointment with one phone call or a few minutes on the website. Just know that Junk King likes to work fast. The call you make this morning might provide you with the opportunity for pickup later on the day. Will you be ready? If not, then you can schedule a time later in the week or on the weekend if that works better for your schedule. Making more storage space in your home is easy when you partner up with Junk King Jacksonville to get rid of the rubbish. This entry was posted in Jacksonville junk removal and tagged Junk King, junk removal, storage space on January 26, 2019 by Junk King. Last updated January 26, 2019 . In order to have a successful holiday you need to do a lot of planning. It helps when everyone is on the same page. Some of that planning is dictated by outside influences like when a store is open for shopping or when something will be delivered. When it comes to family gatherings, these have to be planned out as well in order to coordinate everyone schedule. Just when you think all the planning is over when the holidays are done you still have to deal with your Christmas tree removal. There is a finite window of opportunity to have the city pick up your Christmas tree. But that requires you taking down all the decorations and getting it out to the curb in time. If you miss that opportunity, then you are stuck with the tree. 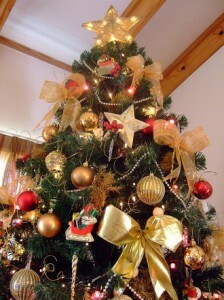 The other option is to hire Junk King Jacksonville for your Christmas tree removal. They’ll be able to make that happen on your schedule. Throughout the year, Junk King is always accommodating to its customers schedules. That doesn’t change around the holidays. Junk King asks that you select a day and two-hour window within that day works best for your time. It certainly won’t take two hours to load up your Christmas tree. But that provides the crew with a buffer to give them plenty of time to get from one appointment next. This appointment can be on the weekend, early in the morning or late at night. It can also be the same day that you call in. That would be extremely convenient! Aside from the help with scheduling, the other benefit from hiring Junk King for your Christmas tree removal is all the other things they can get rid of the same session. This is a terrific opportunity to finally clear out the unwanted furniture, electronics, appliances, clothing and other household items that you have been eager to get rid of. Just imagine how much of a difference that can around your house once those things are gone for good. Turn the task of Christmas tree removal and junk hauling over to Junk King Jacksonville and that will be one less thing that you have to worry about heading into the new year. This entry was posted in Jacksonville junk removal and tagged Christmas tree removal, Junk King, junk removal on December 31, 2018 by Junk King. Last updated December 31, 2018 . One call with Junk King puts a plan into action that can have all the unwanted rubbish items removed from your home. That includes anything from outside as well. Are you ready to make the call today? Put Junk King Jacksonville to work around your house and watch how fast they can help transform it into a junk free zone. This entry was posted in Jacksonville junk removal and tagged Junk King, junk removal, reviews, rubbish on December 24, 2018 by Junk King. Last updated December 24, 2018 . Brothers Bryan and Jason Anderson, owners of Junk King Jacksonville, won the “Mr. Hustle” award at the company’s 8th annual convention at the corporate headquarters in South San Francisco. This entry was posted in News on December 4, 2018 by Junk King. Last updated December 4, 2018 . Is Your Guestroom Ready For Visitors? As you get ready for the holidays, it helps to have a list of all the things that need to be accomplished and when they should be accomplished. That list can get a bit full when out of town guests are expected. 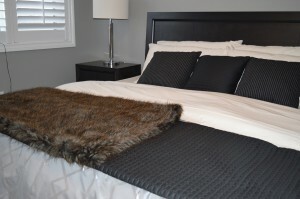 There is a lot more prep work to be done to make the house ready for those guests and that starts in the guestroom. How many things are in the guestroom right now need to be tossed out? This could be a big job if you were to do it on your own which is why you need to hire Junk King Jacksonville. One session with these junk hauling professionals and you will have a guestroom that is clutter free and cozy for your holiday visitors. Every room in a home gets filled up with stuff. Some of that is “active” stuff and some of it is “discarded” stuff. What usually ends up in a guestroom is all the discarded stuff. These are the random pieces of furniture that really don’t have a place in the rest of the house probably because they been replaced. The guestroom is also where boxes of stuff go when there is no longer room garage or in closets. That is a very telling sign that you need to work with Junk King for quick decluttering. If having movers and a truck has been keeping you from getting rid of the stuff, then you’ll no longer have those barriers. Every Junk King appointment is staffed by two capable movers. This is a team that has been licensed and insured. There also friendly and great problem solvers. The to treat your home with a lot of respect. Even though they like to move fast that doesn’t come at the expense of your floors and walls. Their experience allows them to find the best for removing heavy objects or something that might be deemed oversize. It’s not uncommon for the Junk King crews to take something apart in order to safely get it out the house without causing damage elsewhere. When Junk King collects your stuff, it will have an opportunity to be repurposed through recycling or donations. It’s all part of this service. If you need to get your guestroom clear of clutter, then you need to hire Junk King Jacksonville today. This entry was posted in Jacksonville junk removal and tagged clutter, guestroom, Junk King, junk removal, rubbish on November 30, 2018 by Junk King. Last updated November 30, 2018 .